Line reactors are used installed between motor drives and utility. They prevent notches on voltage and dampen the harmonic content of the current drawn by the motor drive. Additionally they increase the operation life of motor driver. The Line reactors are connected in series to the system, thus affecting the system directly. 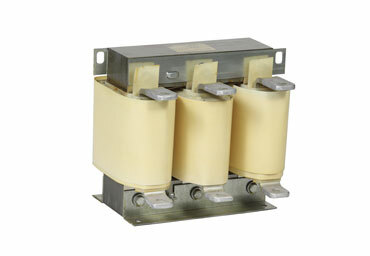 They help lowering the short circuit current of the system, allowing for more economical circuit breaker solutions. Operation voltage is up to 1000V. Maximum design current for these reactors are 2000A. The connections are terminal block, bar or cable connection depending on current value. Our line reactors have CE sign and are compatible with European standards.